Click for provisions at Howrah Division, Sealdah Division, Asansol Division, Malda Division. 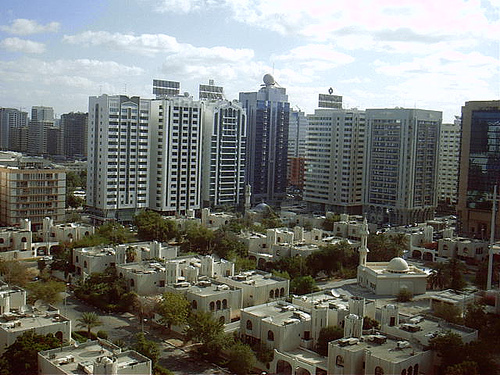 Kolkata (erstwhile Calcutta), the capital of West Bengal and India?s largest city, traces its origin to 1690, when Job Charnock came to the bank of the river Hooghly and took lease of the three villages - Sutanuti, Govindapur and Kolikata (Kolkata) as a trading post of British East India Company. The city shot into fame when Siraj-Ud-Dawlah, the last independent Nawab of Bengal, captured Calcutta in 1756. The British, under Robert Clive regained power in 1757 and the city was made the seat of the supreme courts of justice and supreme revenue administration by Warren Hastings, the first Governor-General of India. Calcutta became the capital of British Indian in 1772 and the 1800 it has grown into a busy and flourishing town. 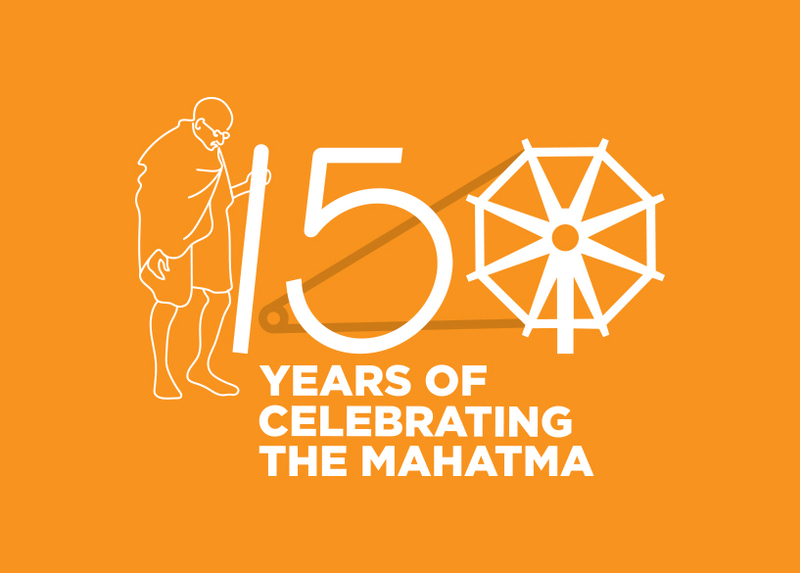 Today, this fascinating metro reflects the cultural, political and economic life of Bengal. Called the City of Palaces, Kolkata has a number of places of tourist interest. Important among them are Botanical Gardens, Howrah Bridge, Victoria Memorial, St. Pauls Cathedral, Zoological Garden, Indian Museum, Birla Planetarium, Birla Industrial Museum, the famous Kali Temple, Jain Temple, Nakhoda Mosque, Jorasanko, Marble Palace, Bidyasagar Setu, High Court, Outram Ghat, Eden Gardens, Eco Park, Wax museum etc. Victoria Memorial - Kolkata : The Victoria Memorial, located in Kolkata, India is a memorial of Queen Victoria of the United Kingdom who also carried the title of Empress of India. It currently serves as a museum and a tourist attraction. Dakshineshwar in Hooghly district is known for its Kaali temple built on the banks of Ganges, north east of Calcutta. 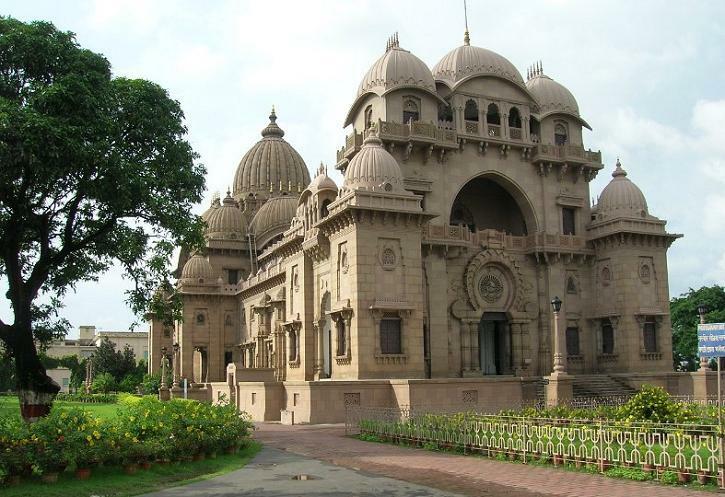 The station is on the Sealdah-Dankuni section of Sealdah Division. .
Belur Math is the headquarters of the Ramakrishna Math and Mission, founded by Swami Vivekananda, a chief disciple of Ramakrishna Paramahamsa. It is located on the west bank of Hooghly River, Belur, West Bengal, India and is one of the significant institutions in Kolkata. This tranquil monument, sprawling over several acres of land on the western banks of Hooghly, was built by Swami Vivekananda. 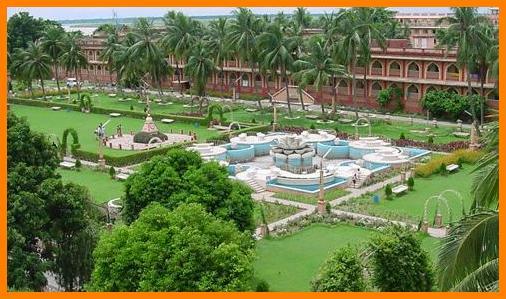 Apart from the main monastery, the Math includes the Headquarters of Ramakrishna Math and Mission and several temples. 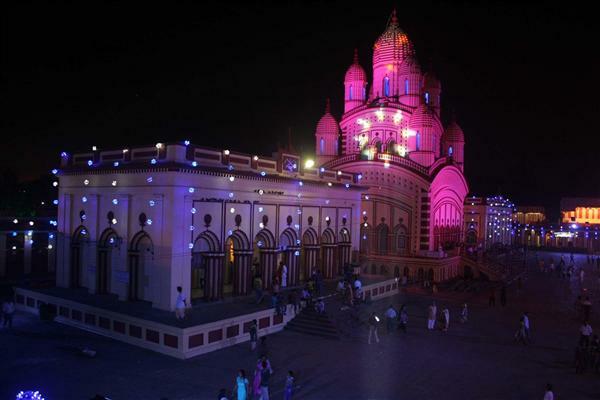 One of the most peaceful prayer halls in Kolkata is found here. Belur can be approached by EMU trains from Howrah Station. The place is famous for the Siva Temple, built in the 18th century. With a four sided porch in front of the sanctum, the temple is typical of Bengali Temples. Tarakeswar is on the terminating station on the Seoraphuli-Tarakeswar section. Mondays are considered auspicious for a visit. Among the important celebrations are Shivratri and Chaitra Sankranti or Bengali New Year celebrations. Located near Serampore near Kolkata, Tarakeswar is a station on the Howrah - Arambagh section of Eastern Railway. Popularly known as the Queen of Hills, Darjeeling is located in the Shivalik hills of the lower range of the Himalayas at an average elevation of 6,982 ft (2,128 m). Like most other hill stations in India, the British developed Darjeeling as a respite from the summer heat in the plains. The British loved the town for the complete rejuvenation package that it offered - serene atmosphere, view of the snowline, scented pines and a golden colored brew called the Darjeeling tea. The place has since become a pilgrimage of sorts for tea connoisseurs. Darjeeling Himalayan Railway is the town's other claim to global fame. Connecting the town with the plains, it was declared a World Heritage Site in 1999 and is one of the few steam engines still in service in India. Darjeeling also has several British-style public schools, hotels and houses that are very old and declared as heritage buildings. 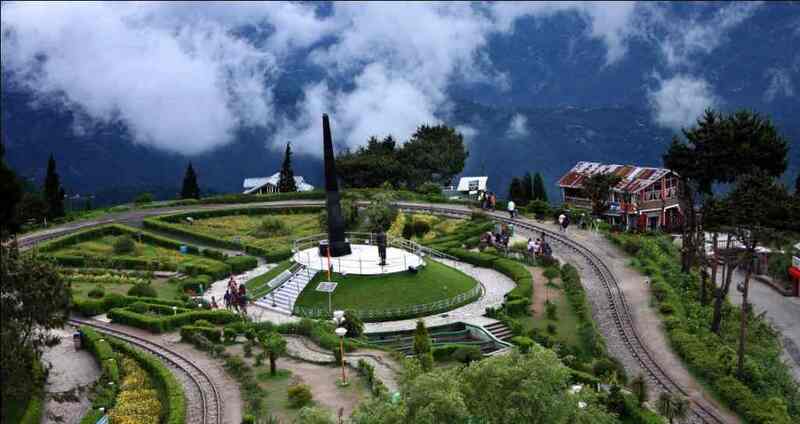 Tiger Hill is the summit of Ghoom, the highest railway station on the Darjeeling Himalayan Railway, a UNESCO World Heritage Site. 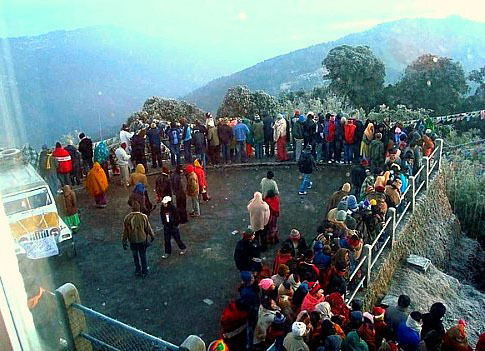 It is famous for spectacular sunrise show over the Himalaya. Leveling out at 8,500 ft (2,600 m), Tiger Hill is the highest hill in the immediate surroundings. Tiger Hill is near Ghoom, about 11km from Darjeeling. The hill is famous for its magnificent dawn views over Kanchenjunga and other eastern Himalayan peaks. On a clear day even Mount Everest is visible. Kalimpongis ahill stationin the IndianstateofWest Bengal. 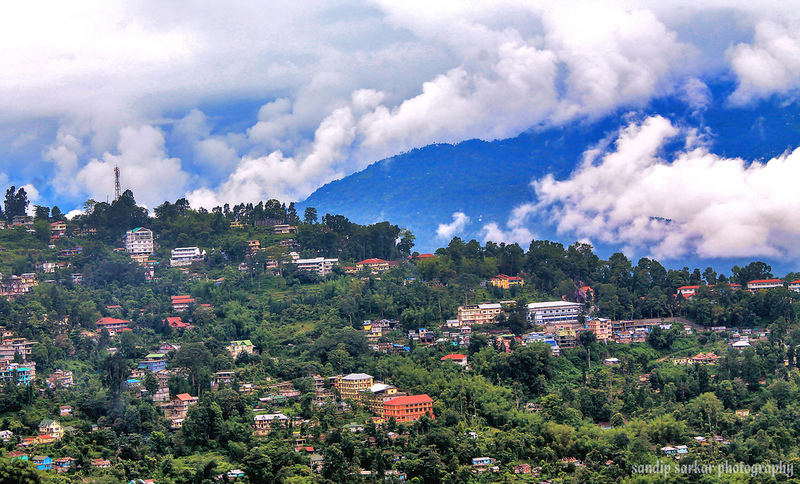 It is located at an average elevation of 1,250 metres (4,101 ft).Kalimpong is known for its educational institutions, many of which were established during the British colonial period.It used to be a gateway in the trade between Tibet and India before China's annexation of Tibet and theSino-Indian War. Kalimpong, on a ridge overlooking theTeesta River, is a tourist destination owing to its temperate climate, magnificent Himalayan beauty and proximity to popular tourist locations in the region. Horticulture is important to Kalimpong. It has a flower market notable for its wide array oforchids; nurseries, which export Himalayan grown flower bulbs, tubers and rhizomes, contribute to the economy of Kalimpong.Home to ethnicNepalis, indigenous Lepchas, other ethnic groups and non-native migrants from other parts of India, the town is a religious centre of Buddhism. The Buddhist monasteryZang Dhok Palri Phodangholds a number of rareTibetan Buddhistscriptures. The Kalimpong Science Centre, established under theDarjeeling Gorkha Hill Council(DGHC) in 2008 is a recent addition to its many tourist attractions. The Science Centre, which provides for scientific awareness among the students of the town and the locals sits atop theDeolo Hill. The Sundarbans forests in India and Bangladesh is about 10,000 sq km, of which 40% lies in southeast West Bengal in India. This mangrove forest is divided into the Sundarbans Tiger Reserve and 24 Parganas (South) Forest Division, and is the only mangrove forest in the world where tigers are found. The name Sundarban can be literally translated as "beautiful jungle" or "beautiful forest" in the Bengali language (Sundar, "beautiful" and ban, "forest" or "jungle"). 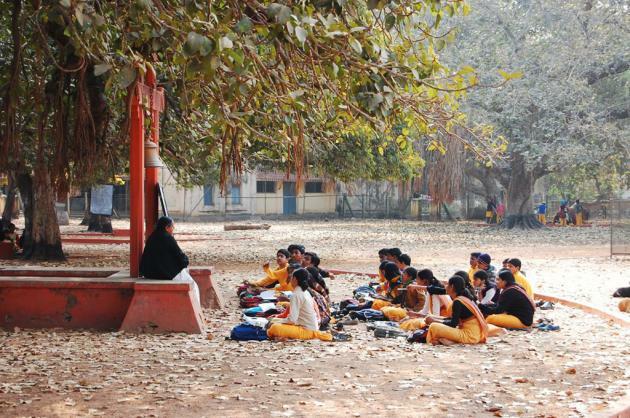 Nobel Laureate Rabindranath Tagore started this open-air school. It is a centre for oriental education and culture. Famous for the Viswa Bharati University, Nobel Laureate in Economics, Dr. Amartya Sen received his early education in Shantiniketan. On the Sahibganj loop, Shantiniketan can be reached by trains and buses. One can come up to Bolpur by train and hire a rickshaw or an autorickshaw to reach Shantiniketan. The station is on the Sealdah-Lalgola section of Sealdah Division. 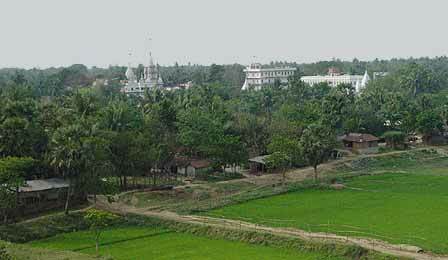 Nabadwip An important pilgrimage center for the Hindus, Nabadwip is the birthplace of Lord Chaitanya, the founder of Vaisnava sect. Located at the confluence of the Bhagirathi and Jalangi rivers, this place is knows as the Varanasi of Bengal. 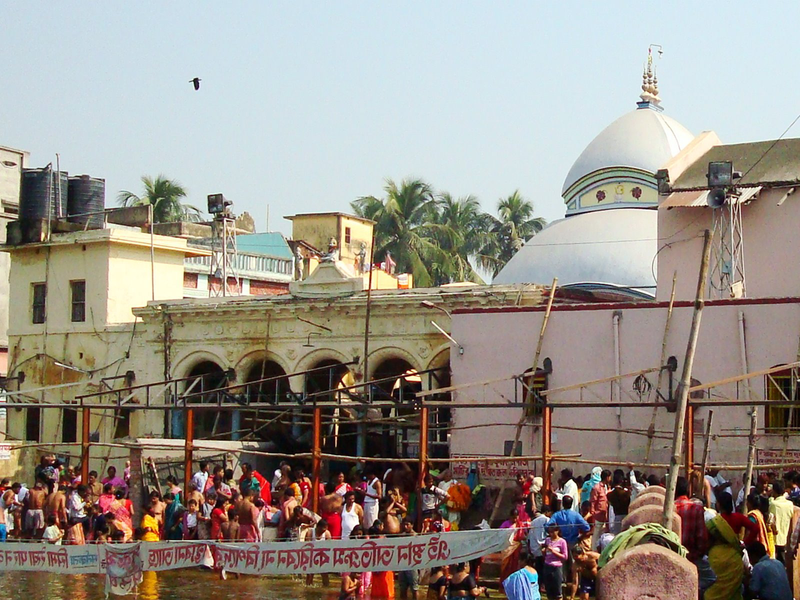 This center for the traditional Sanskrit schools served as the capital of the ancient Bengal. 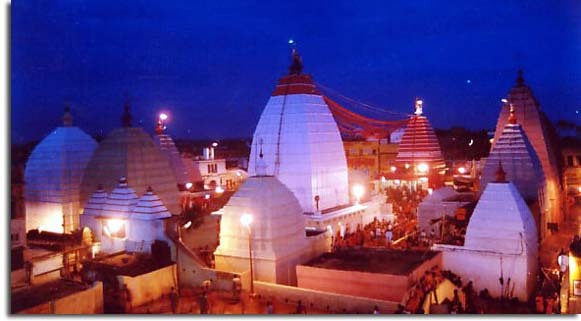 Baidyanath Dham Famous for the Siva temple, this religious place attracts lakhs of devotees from all over India, through out the year. The station is on the Jasidih-Baidyanath Dham.